College Website Scoops the Silver!! Glasgow Kelvin College’s Marketing and ICT team were on hand to accept the prestigious Silver Award for the College’s shiny new website at this year’s College Development Network Marketing Awards! As this award is judged by students and not the official judging panel, it is much sought after and the team was delighted to even be shortlisted. The website was designed and populated in close consultation with staff and students who each had an input to the design process. The Marketing Team, and most especially Hilary and Tracey, worked tirelessly to bring the whole project to fruition and set it into full swing just in time for recruitment. Their sterling efforts were rewarded by landing the silver award which was presented at a sparkling ceremony held at Drygate in Glasgow last week – very impressive! 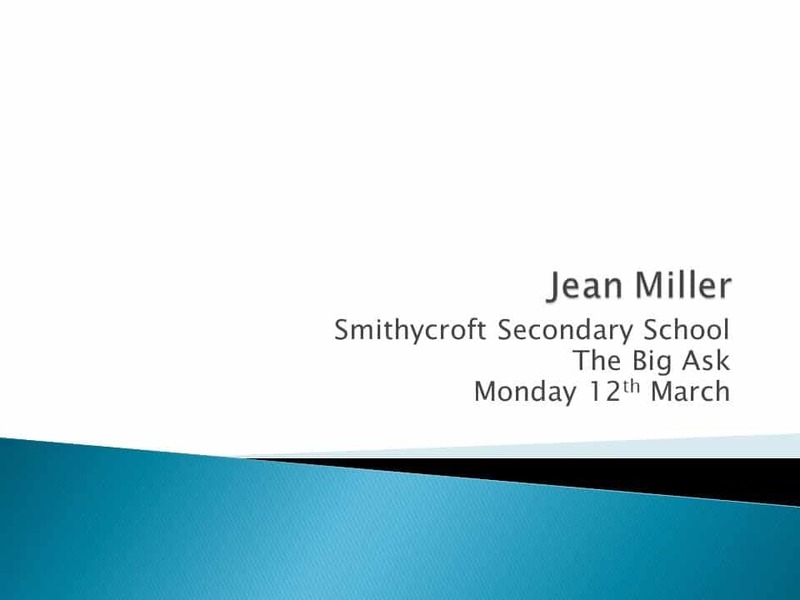 Sister college, Glasgow Clyde College, pipped them for the gold award so congratulations should also go to their team. Well done, everyone who was involved!! Lorna McNiven, Marketing Officer; Hilary Ramsay, Senior Marketing Development Officer; and Andy Laszlo, ICT Manager. 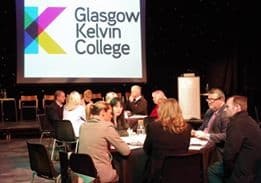 Glasgow Kelvin College works with a wide range of partner organisations and consults routinely on its key strategic priorities with groups including staff, Board Members, students, employers, partners and service users. 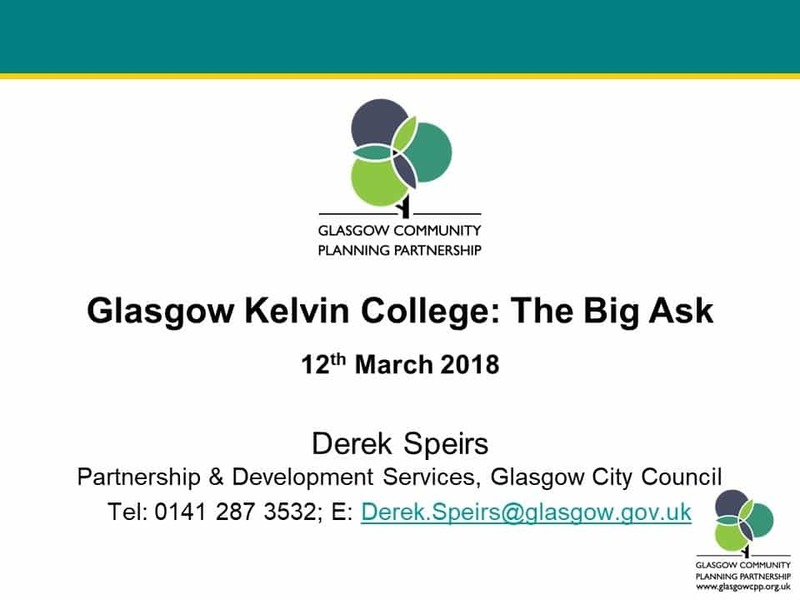 As part of this Strategic Planning process, College Managers were delighted to welcome around forty representatives from partner stakeholder organisations to the Big Ask 2018 event to Platform at The Bridge, Easterhouse in March. 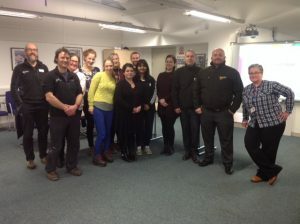 The consultation event provoked extensive discussion where partners from schools, voluntary sector, local authority, industry and community organisations identified their key needs from the College in the medium term. This follows on from a staff consultation event earlier in the year and responses will help the College to frame its Strategic Plan for 2018-21. 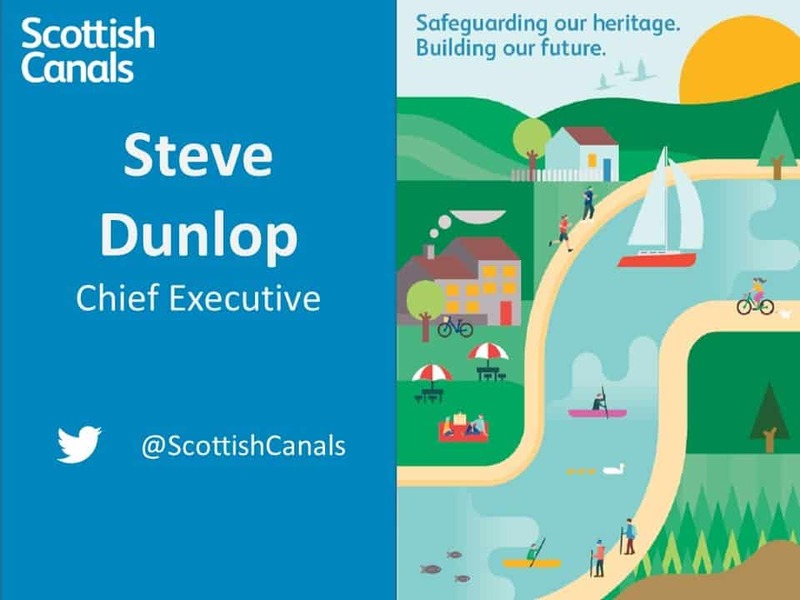 It was a lively event with input from a range of speakers, including the President of the College Student Association, the CEO of Scottish Canals and a local Head Teacher. The event concluded with a networking buffet lunch. 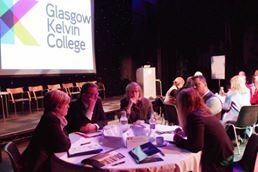 The feedback provided interesting insights and fresh ideas as to how the College could frame its revised strategic priorities. Thanks go to all the guests who took the time to give their valued input to the event and to the speakers whose presentations stimulated the group discussions. 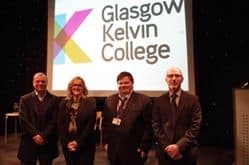 Thanks go also to the staff at Platform and to all Glasgow Kelvin colleagues whose support and contribution helped to ensure the success of the event. 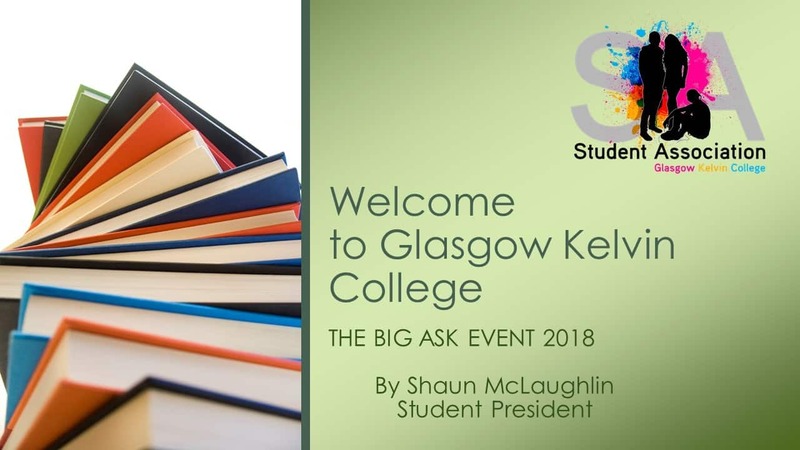 A report on feedback from the Big Ask will be made available on the intranet in the near future. Dynamic Youthworkers from in and around Glasgow have settled into the fifth month of their course at Glasgow Kelvin College, the first in Scotland to deliver the Certificate in Youthwork Practice. This brand new evening programme is delivered over 7 months with one session per month and students are currently all involved with supporting young people in a variety of roles within a range of organisations. 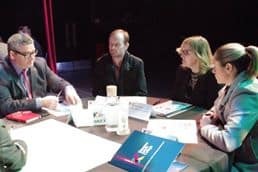 These include training organisations, community youth groups, addiction support, regeneration and housing providers, youth employability and support networks, activity and sports organisations. All focus on building young people’s confidence, resilience and employability skills, providing all-round support for individuals. Without exception, the students are experienced workers supporting young people and are eager to formalise the learning they have already gained. Successful completion of the SCQF level 5 Certificate gives students a free and guaranteed place on the College’s PDA in Youthwork. It will also enhance their own employability skills. All assessments are practice-based, structured around thematic issues where students use their reflective practice skills. They also use the i-develop tool from the Community Learning and Development (CLD) Standards Council. For the majority of them, they acknowledge that the course content is mainly around tasks and skills they already have in their job, but their studies help them to analyse, reflect on and articulate what they do. It formalises and accredits their experience. 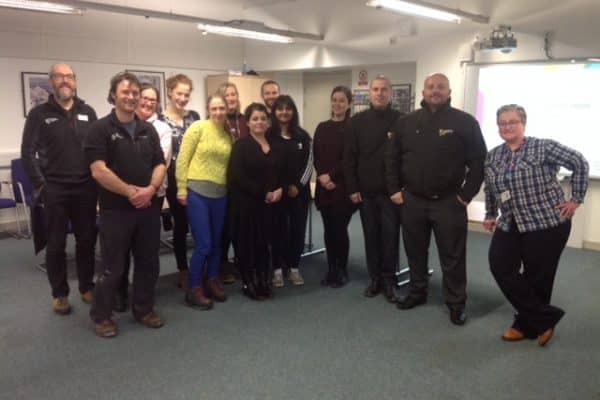 The students agree that catching vulnerable young people at an early age can be a key intervention to prevent issues in their later lives, and the course provides a broader understanding of the impact of effective youth work strategies. The goal for the majority of the learners is to progress to the HNC Working with Communities or the PDA in Youthwork, and many are using it as a stepping stone in their career journey. Although some of the work can be challenging, the groupwork element has been very enjoyable and provided them with strong support to help each other through the coursework.